Shop local this holiday season! Blast 825 Brewery (formally Rooney’s Irish Pub) in Oructt serves up delicious food and a wide variety of craft beer! They have great speiclas like their Sunday Brunch. Their gift cards make great gifts this holiday season, and they even offer a special where you get a FREE $25 gift card for buying $100 worth of gift cards! “We think it’s important for the community to shop local because it means we’re supporting our friends and neighbors,” said David Ferdinandi of Blast 825 Brewery. Blast 825 Brewery is located at 241 S. Broadway Street, Ste 101 in Orcutt. 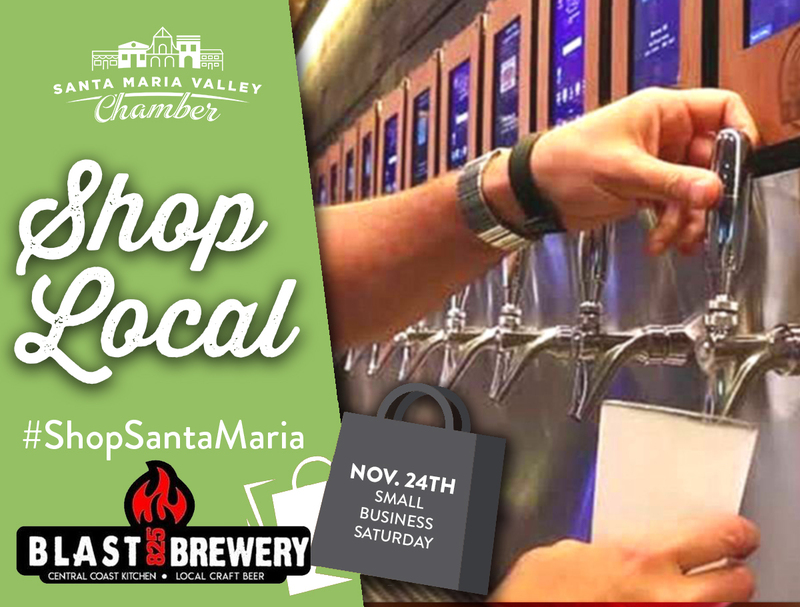 Join us this holiday season in supporting local businesses by choosing to #ShopSantaMaria! And don’t forget to celebrate #SmallBusinessSaturday November 24th!